The Best 10 wood router tips and tricks for professional and beginner woodworkers alike! I often get asked by woodworkers about routing and how to get the best results, whether it's from my Youtube channel comments, or the students that I teach. So here's My simple guide for getting great results with your router! 1. 1/4" or 1/2"? Many people say get the bigger, half inch routers, but I am of a different opinion. Get the kind of router you are comfortable with using! 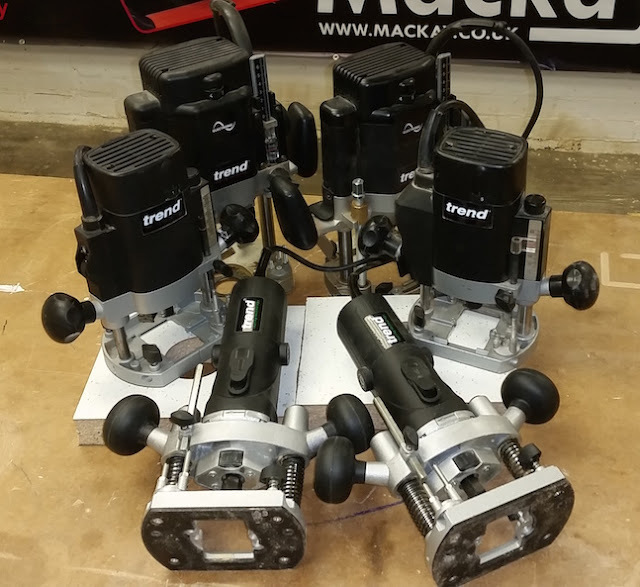 It may be a small "trim router", a larger 1/4" router or a 2000W/ 2.5HP 1/2" beast. Small routers can do far more than many people give them credit for, and big routers are heavy - if your going to use it for hanging doors, 6.5Kgs is a lot of weight to be swinging above your head! Keep in mind the next few tips, and that little 800W router will also perform well in a table (which we'll cover at a later date! )There are advantages also to having the larger shanked 1/2" cutters, size, vibration, stability; agreed, but we can get along as well, just read on!Regardless which router you have, or choose, being familiar with it is by far the most important thing. There are many, sometimes confusing options when choosing a router. 4 Steps to better routing and longer lasting cutters. There are different cutters available to anyone with a router. Sizes, profiles, guided, the list is enormous.But they all share one common thing. COST!You can not only get confused into getting cutters you don't always need, but what ever you do have, you'll want to look after. that way you cutter collection, and indeed your router will last you much longer before needing to be replaced. Burnt cutters will dull faster. Regularly, before and after use. Look for signs of wear and damage. Tungsten is hard which makes it brittle even a small nick in the cutting edge can make simple cuts look horrible.